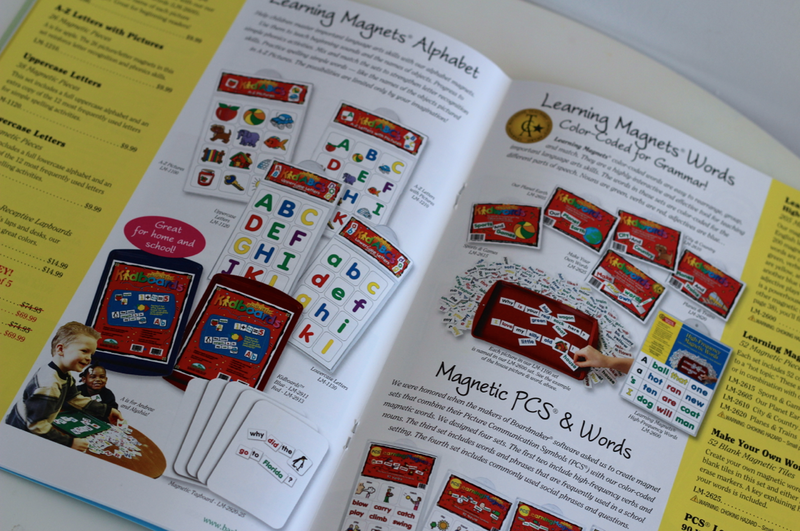 When it is time for teachers to head back to school and into the classroom, being organized is a huge component in starting the year off on the right foot. Truth be told, I don't actually have a classroom but rather a classroom on wheels. Teaching French à la carte is something I have been doing ever since I moved to Toronto nearly ten years ago and, truth be told, organization has never been my forté. Each year, it seems, I am always trying to organize myself in different ways using different products. I have accumulated so much that my little crate on wheels just doesn't seem to cut it anymore. This year, I am looking at setting up a French corner in each of my eight classes to help lighten my load with a little help from my friends over at Barker Creek Publishing. You may recall my review of their Learning Magnets High Frequency Word Kit I received last year. I really loved the quality and was happy to pass it along to a friend at work who found it very useful in her classroom. So when Barker Creek offered to send over some of their new products for 2013, I was over the moon. Er, over the rainbow rather! 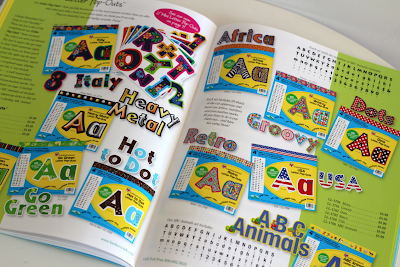 Barker Creek has a really nice selection of Letter Pop-Outs in a bunch of really cool designs. I chose their 4" Over the Rainbow polka dot letters because I love the bright colours on black. 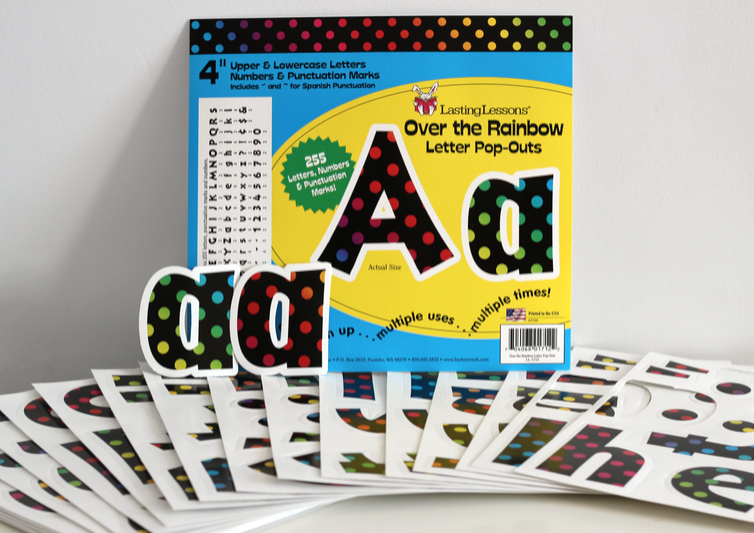 The set includes uppercase and lowercase letters, numbers, punctuation, and Spanish punctuation which could easily be adapted for French - 255 pieces in total! The letters are also available in 2" and, as with many of Barker Creek products, they coordinate with a number of other useful supplies. They are currently listed at $8.99. From functional file folders to matching library pockets, Barker Creek has it all. 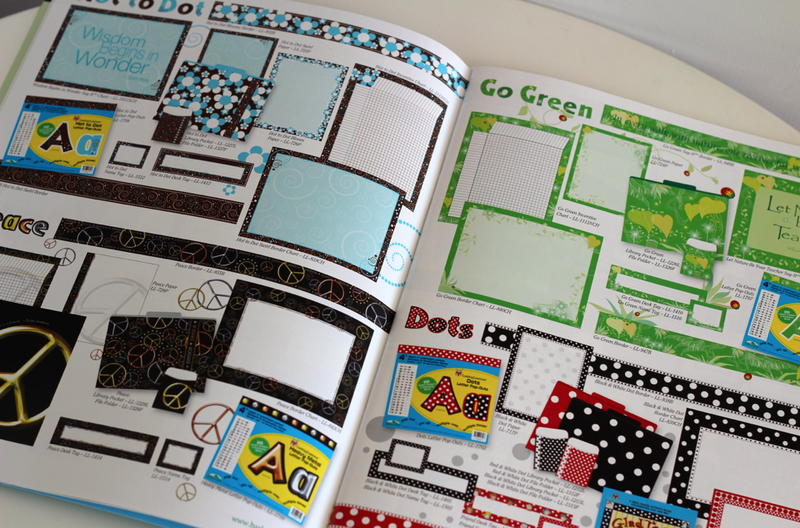 You will find incentive charts, desk tags, border charts, computer paper and double-sided trim for your bulletin boards. And they are all reasonably priced. 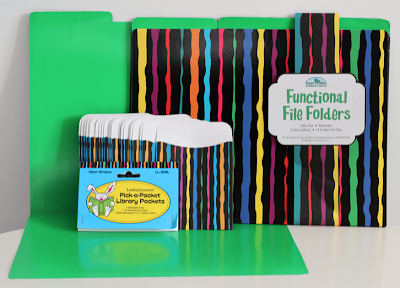 A set of 12 letter-sized folders with three tab positions is $9.99 and a package of 30 pockets with peel and stick strips on the back is only $5.99. Getting my students organized this year will be a little bit easier, too. With over 200 students on my roster, I am very grateful to have a new supply of self-adhesive name tags to label their French folders. 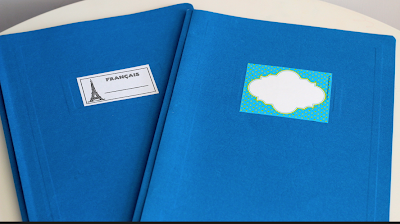 It will save me from having to photocopy sheets of the French labels I designed on my computer, cutting them out and then individually gluing them on for my younger students. And even with the older students, the paper name tag usually tears off by mid-year. The new Barker Creek labels will solve that problem and will help students identify their French workbook much more easily. Also new for 2013 is the Barker Creek collection of accents. 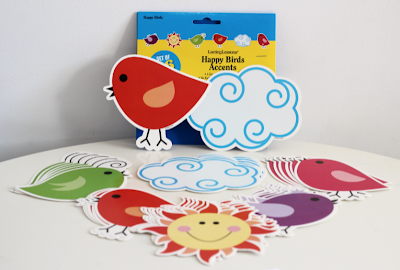 Each set, including the Happy Birds featured about, includes 36 accents, six each of six designs. You should check out the Ladybugs and Posies accents set, too. They're really cute! Barker Creek Publishing Company is a small, woman-owned business located near Seattle, Washington. They do accept international orders but please note tax and duty fees may apply. These products look great! 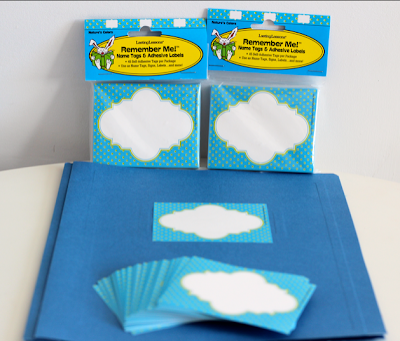 My mom was a special needs teacher for many years and always found it a little difficult to stay organized! I taught a special needs French class one year and if there's one thing I've learned, it's that you always have to be prepared for anything! These supplies look awesome. Very good for organizing! As teachers, we are always looking for attractive things to enhance our classrooms. I love the vast variety of designs of labels and lettering! It is also great to support independent business women! Here, here! And while I don't have a classroom, I do have a bulletin board outside my office and I've already used the lettering. Very eye-catching! My sister is an elementary school teacher and would love these products! I'm definitely spreading the word. Oh what cute supplies! I guess I wasn't following you back then or somehow I missed this!